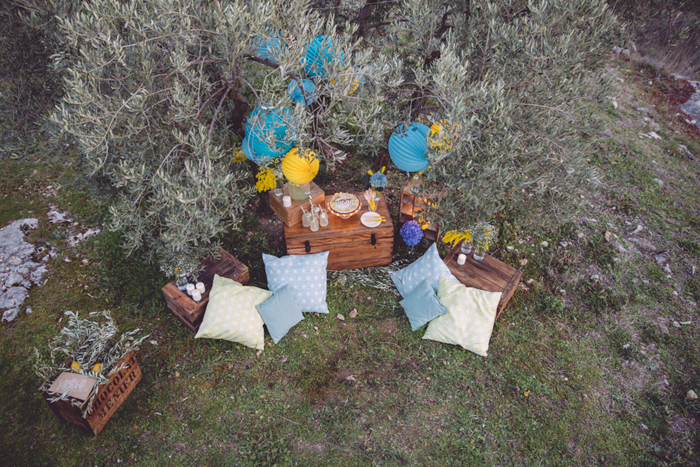 We love this tangy take on the a turquoise pieces from our store. 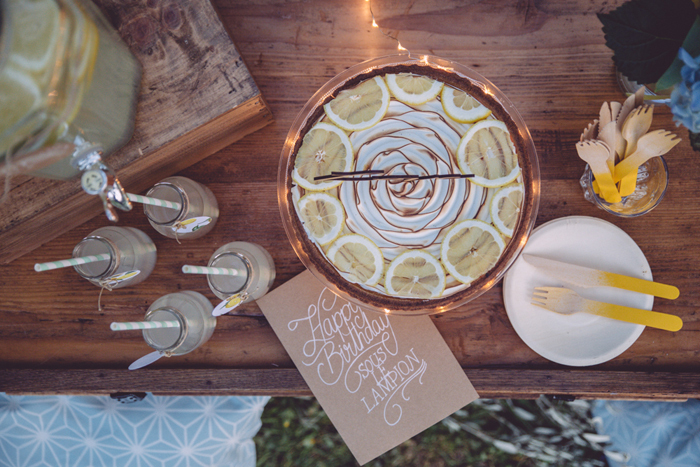 The chevron beneath the blue sky cake is just perfect. 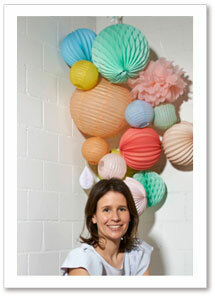 Shop for similar birthday paper lanterns in out store ! We’re giving away a $150 voucher! 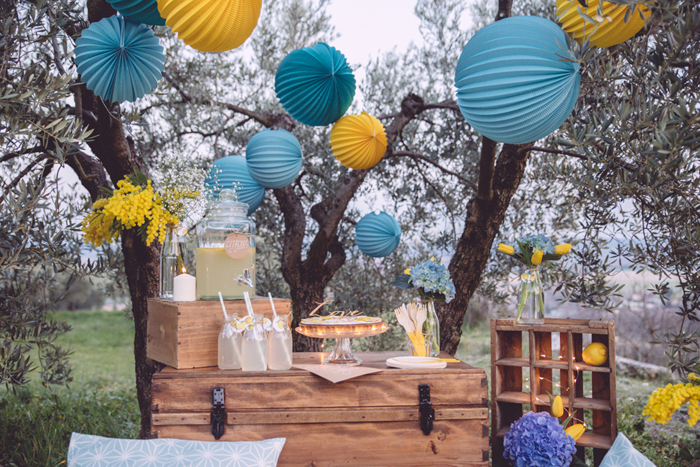 Today we are all about blue shades and a cute paper lanterns ceiling for a party table, or your wedding venue. 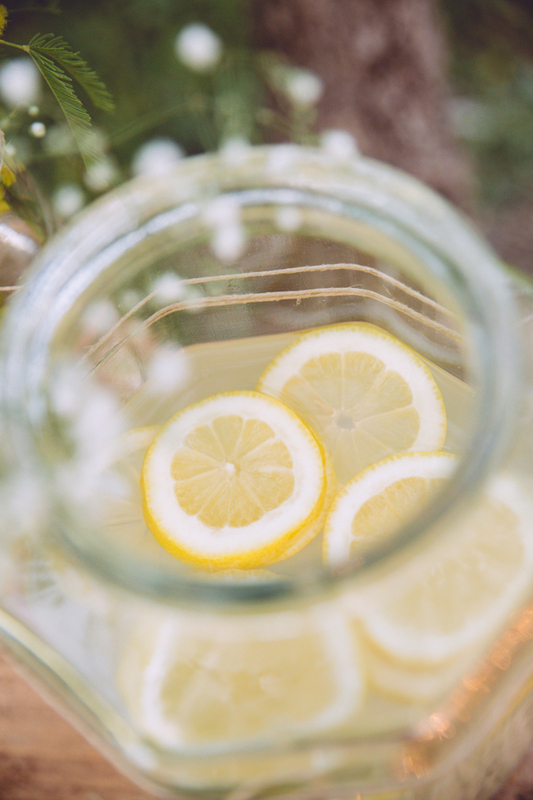 Here’s how you can do the same kind of décor. 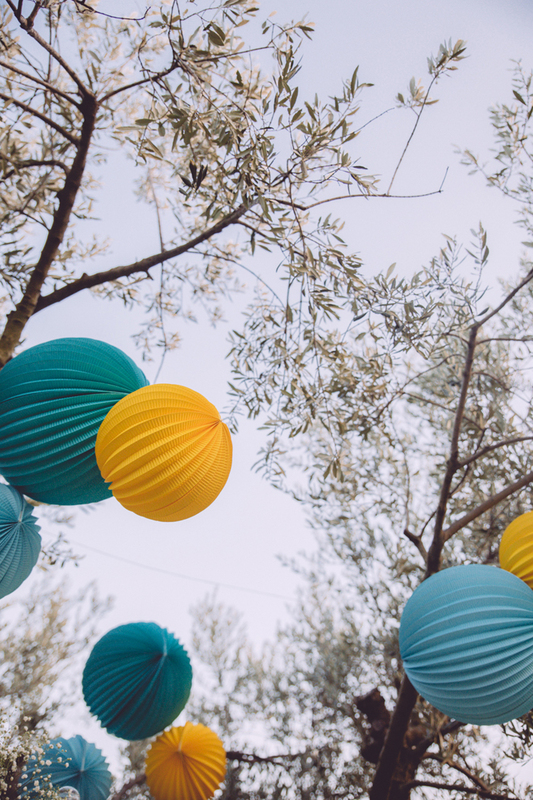 The easiest way is to stretch and fix fishing wire or solid twine so that you get a grid pattern on which you can hang the various lanterns and paper balls. To give you an idea of measurements here, we covered approx. 2 square meters of ceiling. 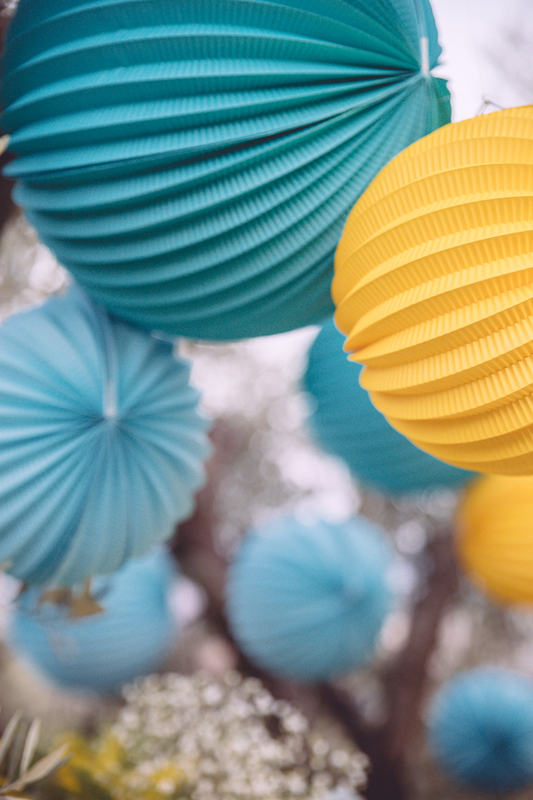 We love mixing and matching paper lanterns, accordion lanterns and pompoms, but you could also only use one single type of products, and play with different sizes. 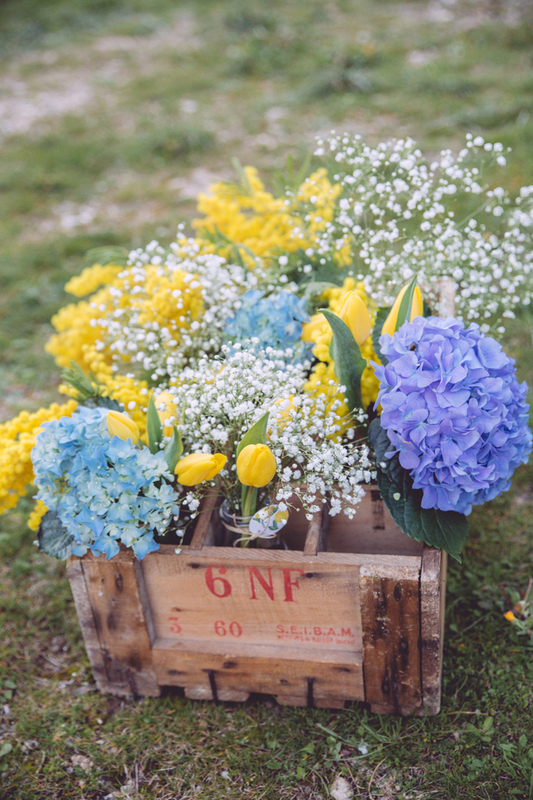 We love that these remind of us summer clouds in the sky. Paired with Willow china, and a classic lobster lunch all of the elements are so traditional yet unexpected when put together. 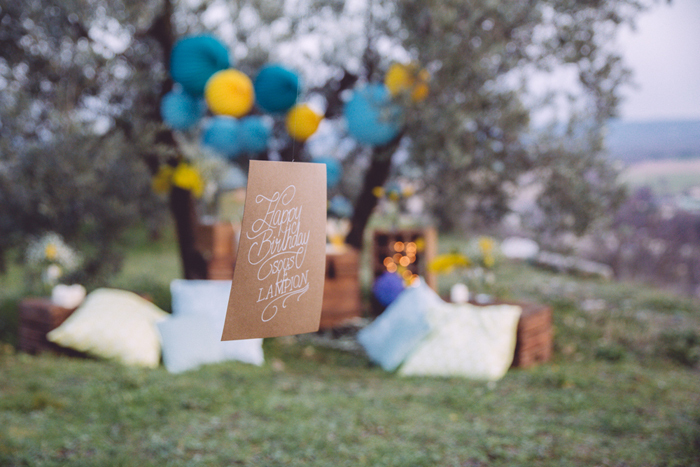 We recently asked a few of our favorite events and party designers in France to imagine a cute birthday décor. 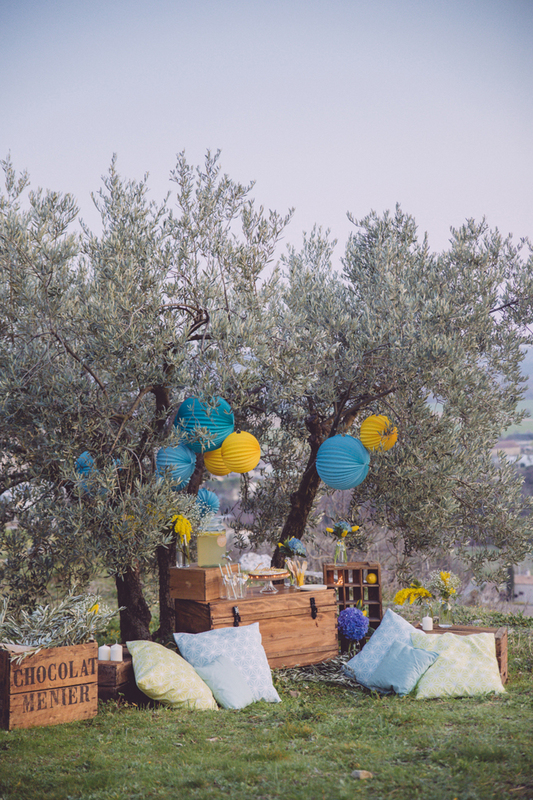 The happy team of Monsieur + Madame (if you are looking for great event planners for destination weddings in France…) came up with the idea of a modern bash, in the country side of French Provence, right in the middle of olive trees. 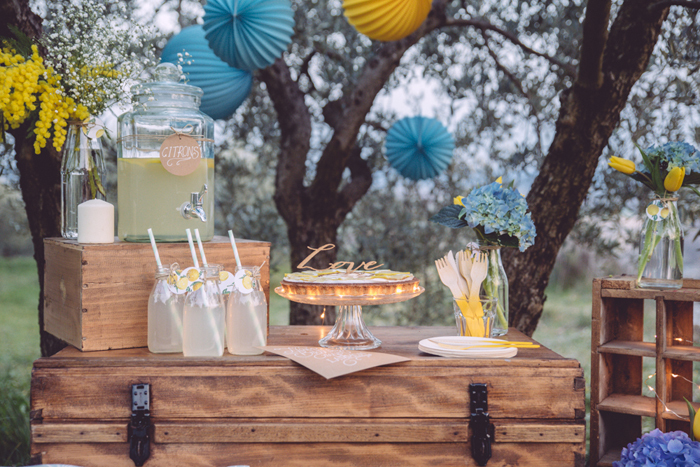 These pictures will for sure inspire you for next spring/summer events ! Gifting our paper lanterns to our favorite people!